Evolution ran its course without human interference on the Galapagos Islands for far longer than most other places on the planet and a trip to the archipelago is akin to traveling back in time. Take a look at our Galapagos Map below. 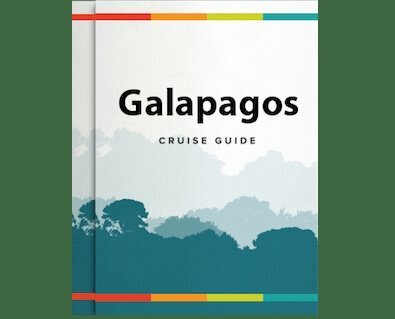 The Grace Galapagos houses 10 cabins, which are divided into deluxe staterooms, premium staterooms, suites, master suites and one special Grace Kelly suite. Each room is equipped with its own private bathroom, air conditioning and windows that look out over the water. Perhaps one of the best things about the Treasure of Galapagos is the fact that you will never need to share the boat with more than 15 other passengers. With a maximum of 16 guests on board, the boat always feels spacious and the communal areas maintain an ambiance of calm at all times. The Evolution Cruise ship is a mid-sized vessel with 16 luxurious cabins spread out across three floors. Each room is decorated with calming, neutral tones and filled with comfortable furniture to ensure you get a good night’s sleep whilst aboard the ship. But, of course, you will only be spending a fraction of your time in the bedroom. The Galapagos Islands are known as one of the best scuba diving destinations in the world. For those who do not scuba dive, snorkeling the waters of Galapagos is just as spectacular.